The Naralan is the corridor of land which connects the Guarded Land with the northern sea. 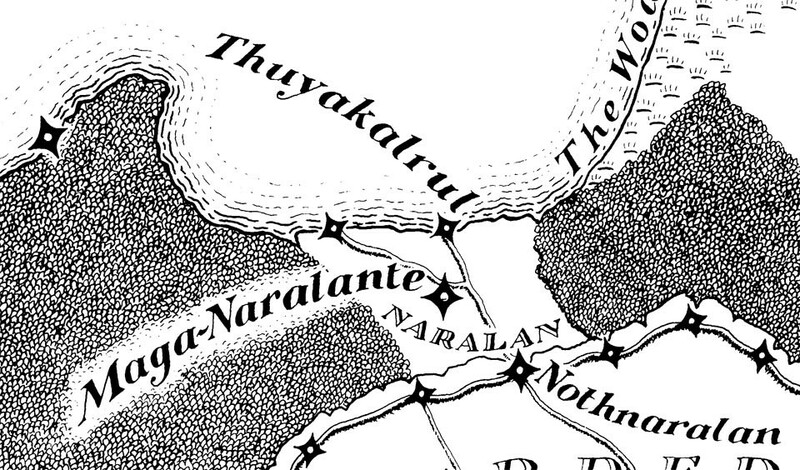 Two of the Cities of the Sea lie along the shore of the Naralan. The greatest of these is Thuyakalrul. Access to the Guarded Land is up the cliff to Nothnaralan. Please let me know what emails you would like. If you don't check either I'll send you everything!